John Moss...a class ringmaster with a classy family. Jim Royal on the left. Dennis, I was told by a friend who was on Kelly Miller, with John, for five years, that he is currently with Big O Amusements in Florida. 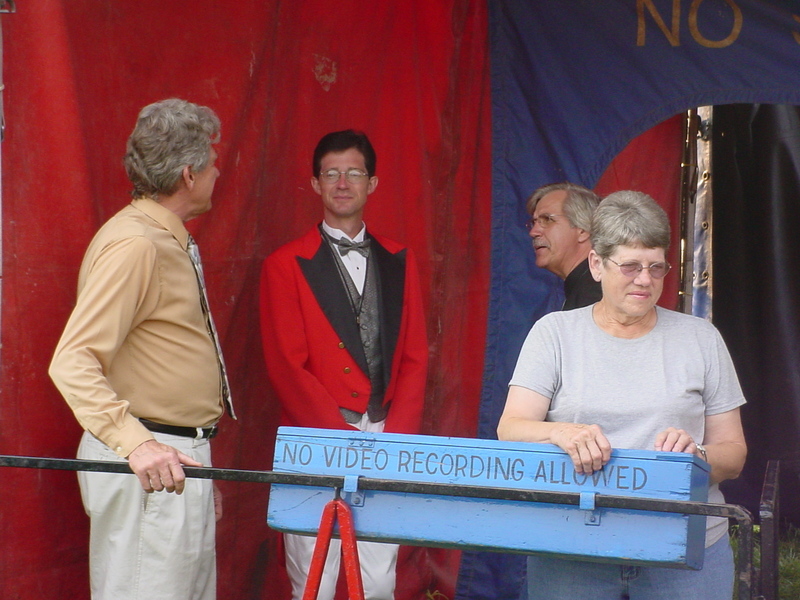 A real gentleman and a wonderful professional ringmaster. In my book he was right up there at the top of current day ringmasters. I talked To John Moss about a week ago. He said he is no longer working for any show.